"Lake Tahoe's Lullaby" El Dorado Beach- Lake Tahoe, CA. 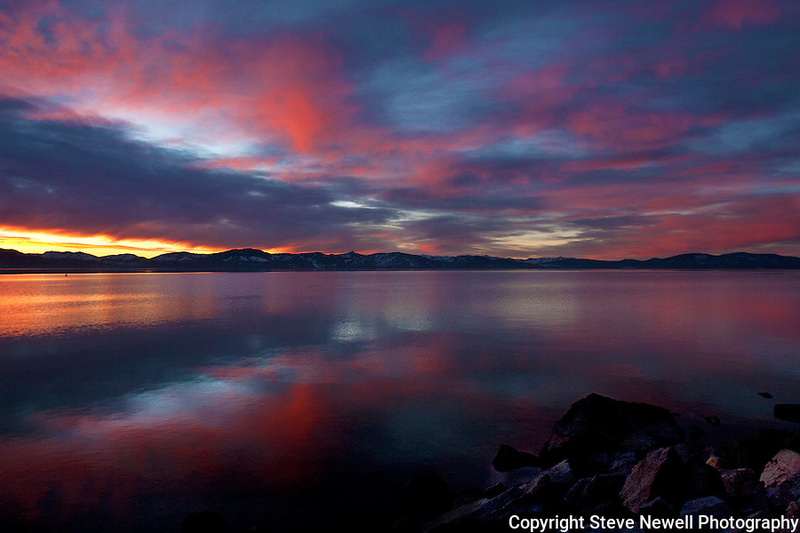 I captured this sunset image from Cave Rock located on the Nevada side of South Lake Tahoe. The color was just spectacular that night. Living here in Lake Tahoe allows me to enjoy these Dreamy Nights!